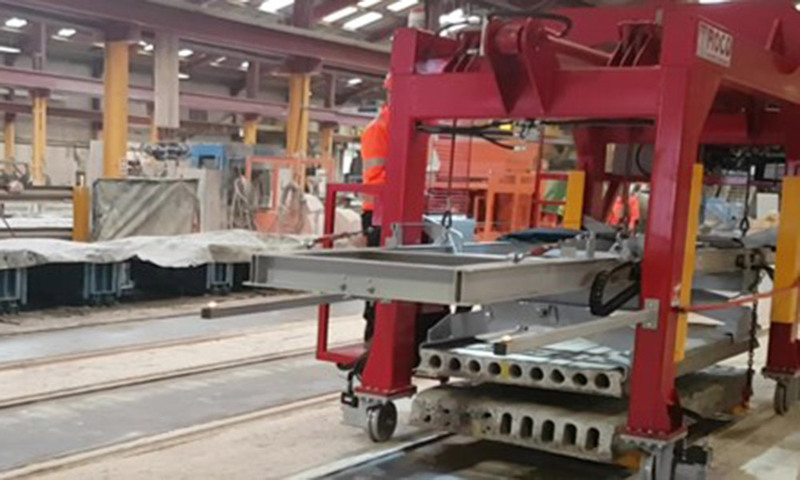 All our hollowcore machinery is designed to increase efficiency, reducing the variable cost of manufacture, and enabling the producer to make more profit. 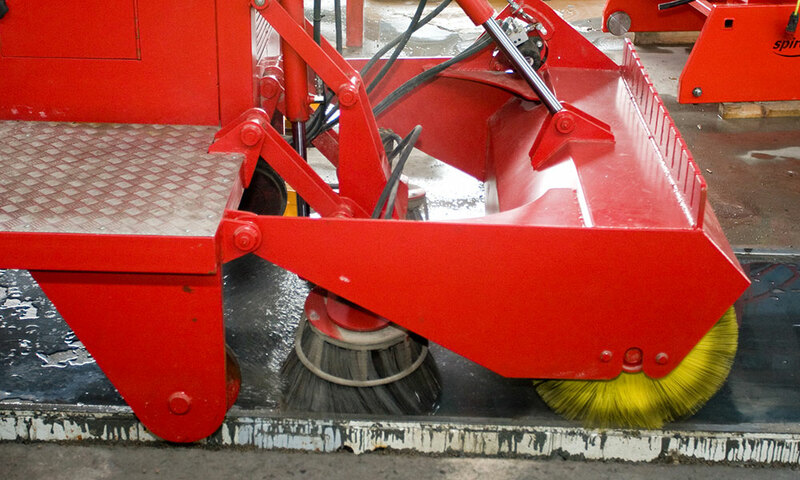 This in turn achieves a quick payback on investment. 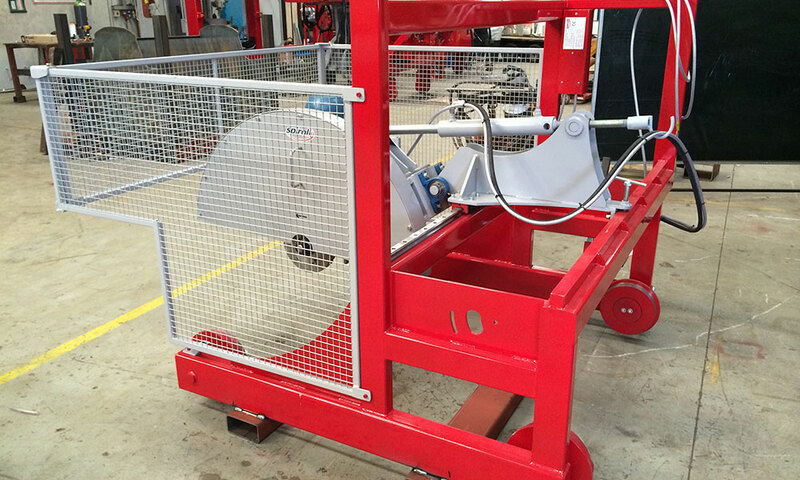 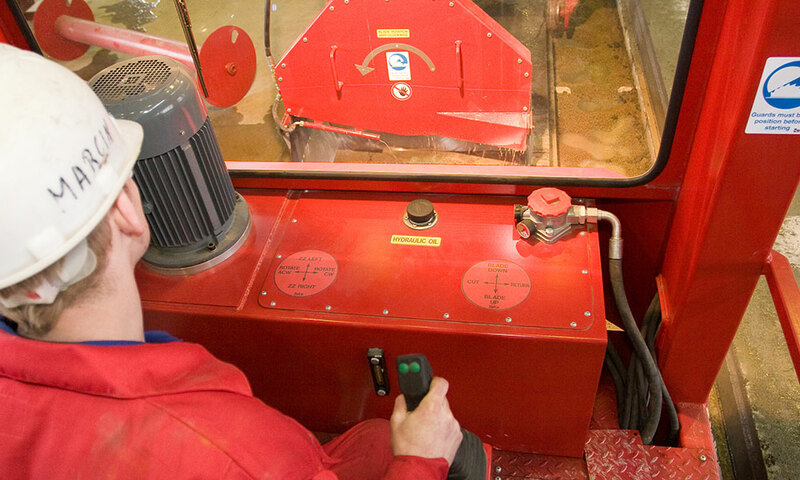 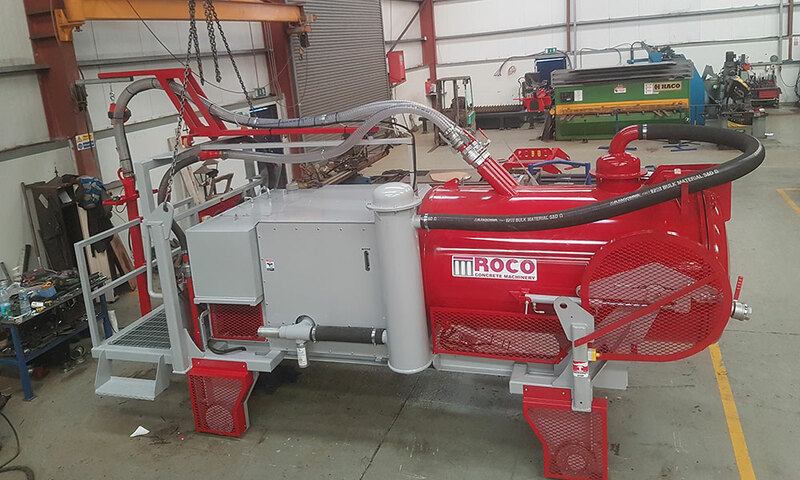 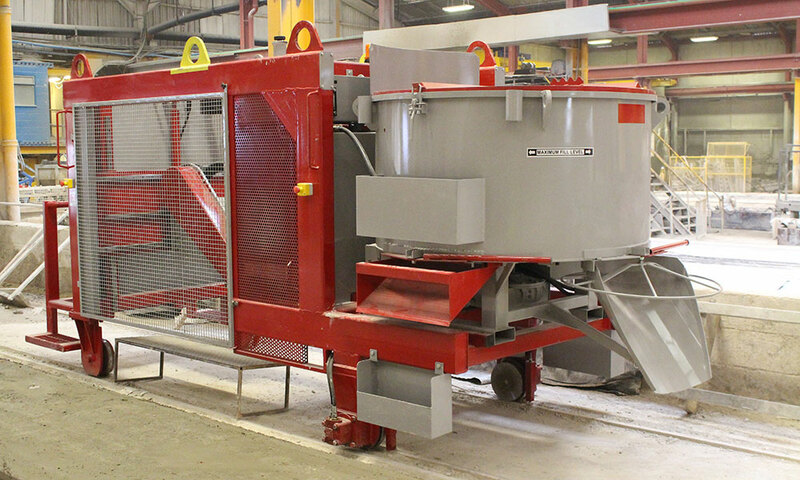 Processes such as cleaning, oiling and wiring the casting beds; as well as cutting the finished product and secondary detailing, can all be made safer and more efficient using our range of machinery. 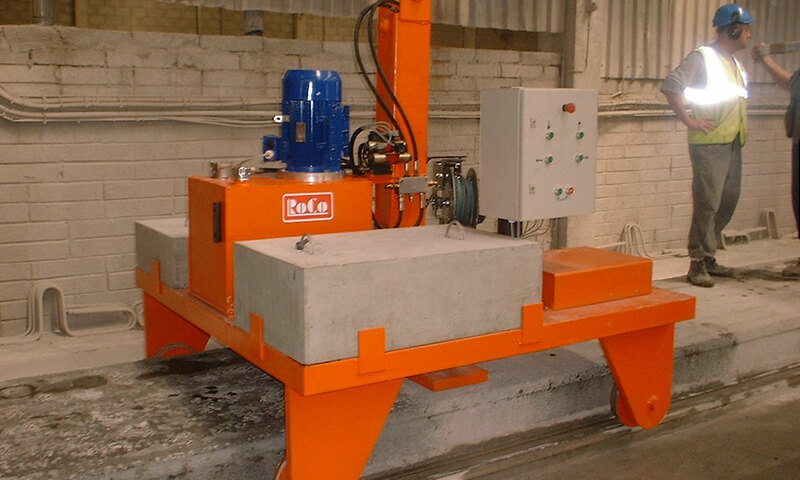 View our range of available machinery for hollowcore slab production. 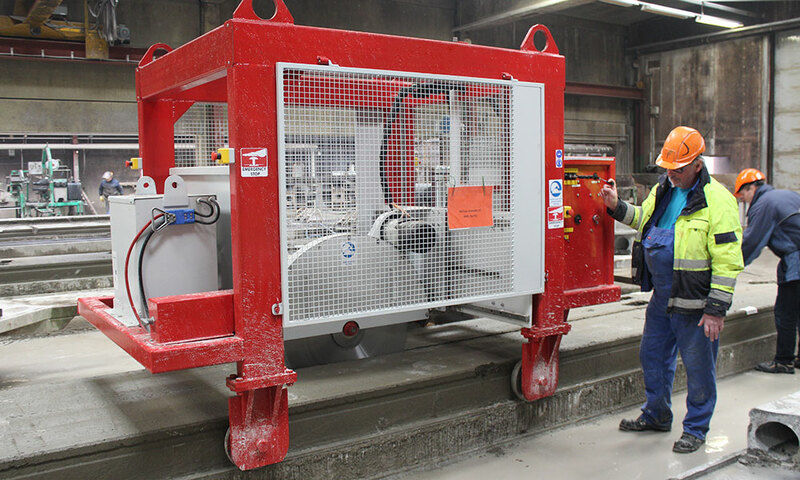 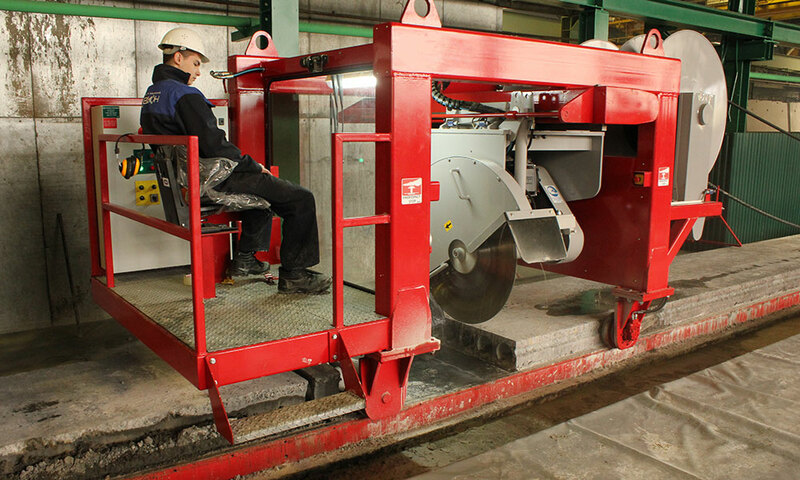 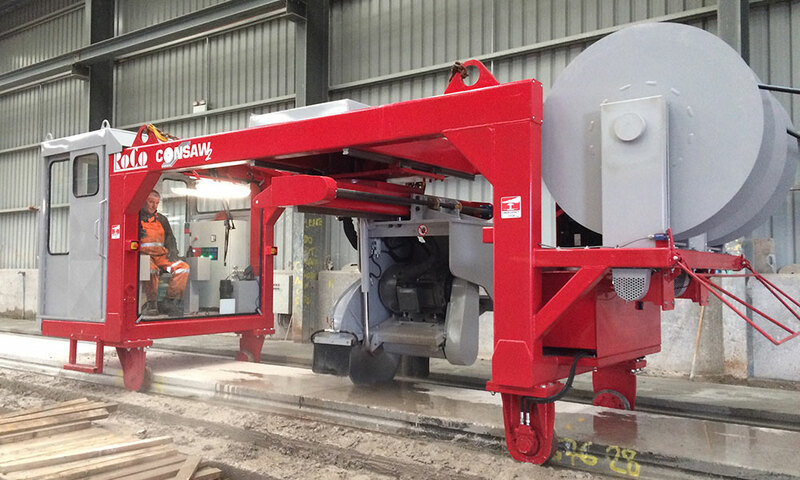 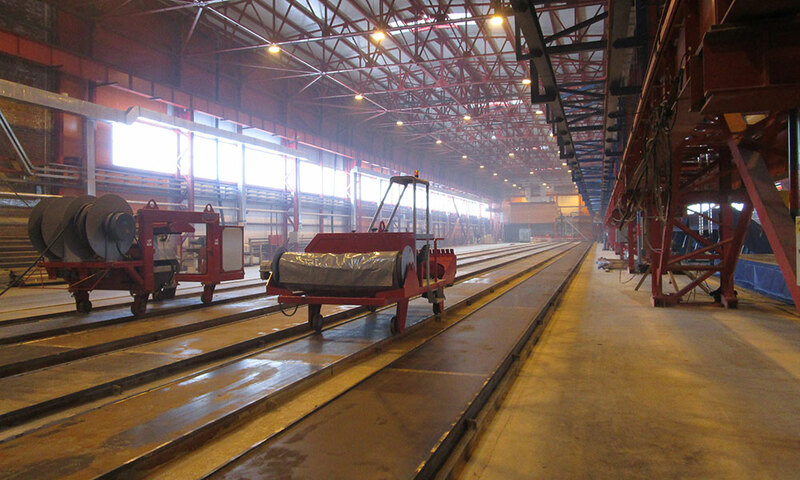 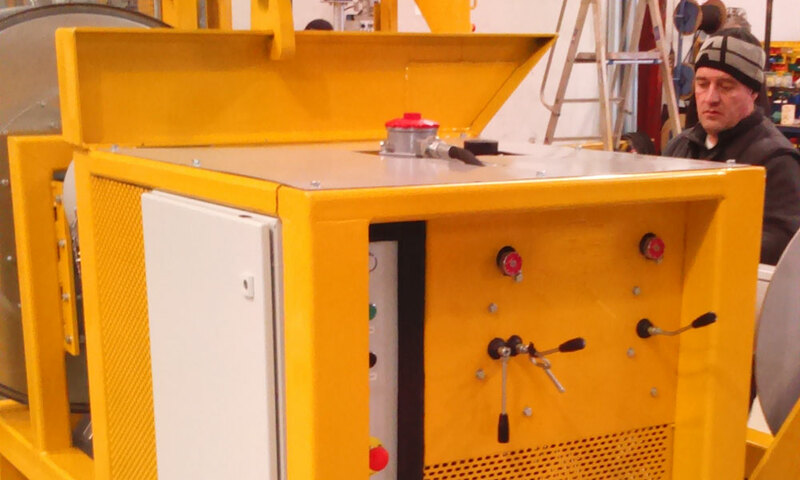 The Bed Cleaner prepares hollowcore casting beds for production with cleaning, oiling and wiring functions. 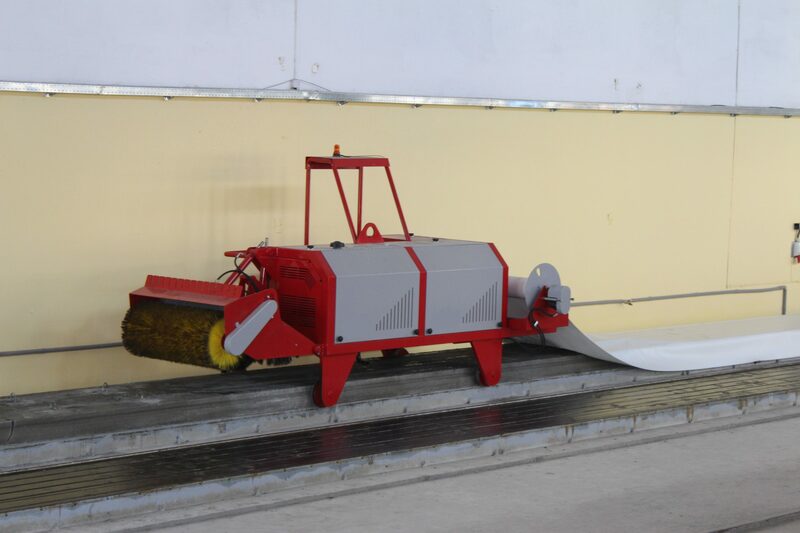 It can also lay curing covers on finished slabs. 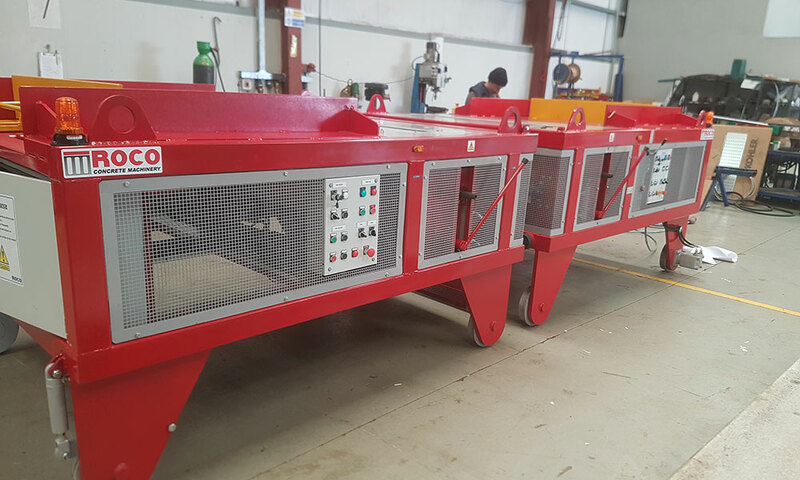 The Multi-Angle Factory Saw is used to cut hollowcore concrete flooring from 100mm to 500mm deep. 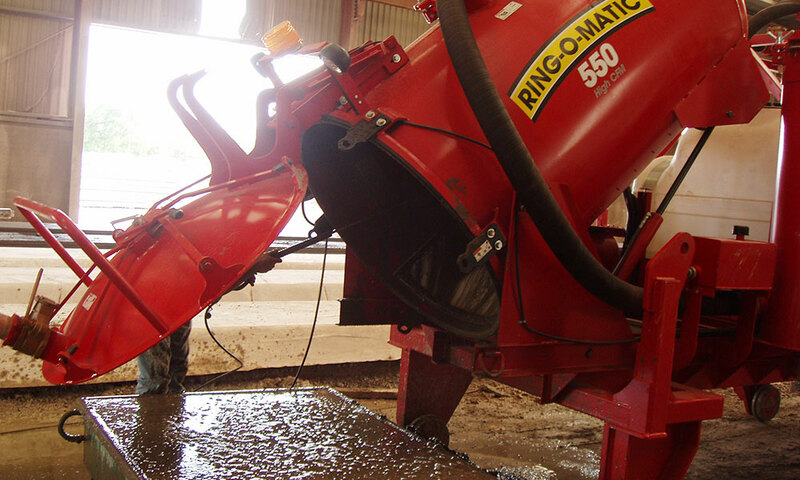 Any angle from 90° to 180° can be achieved with ease. 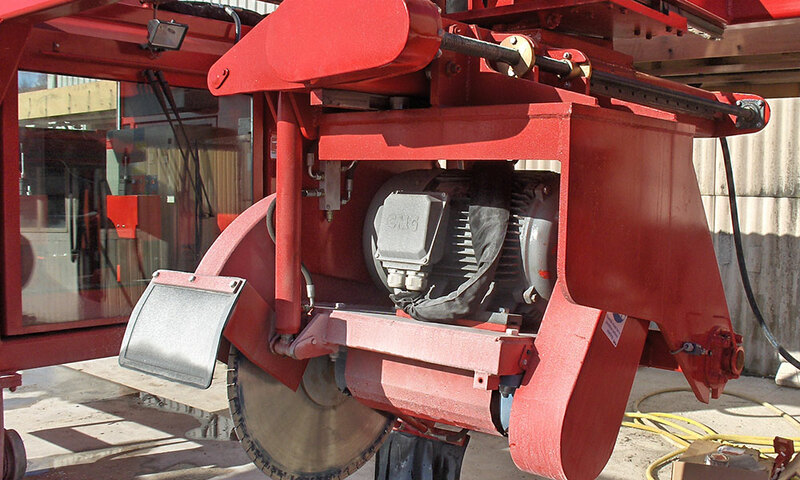 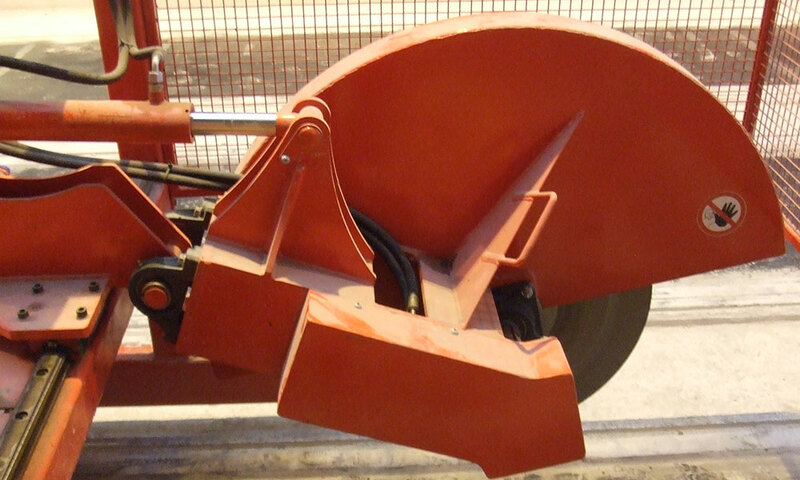 The Cross-Cut Factory Saw is used to cut hollowcore concrete flooring from 100mm to 400mm deep at a 90° angle. 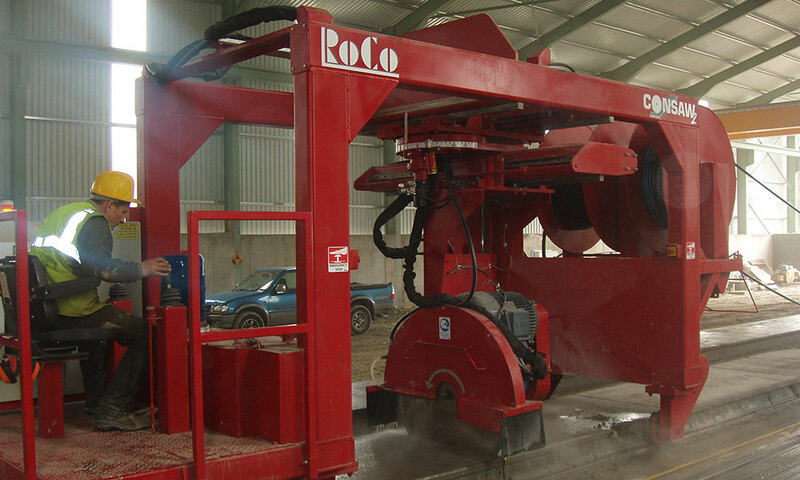 The Multi-Angle Yard Saw is used to cut hollowcore concrete flooring from 100mm to 500mm deep. 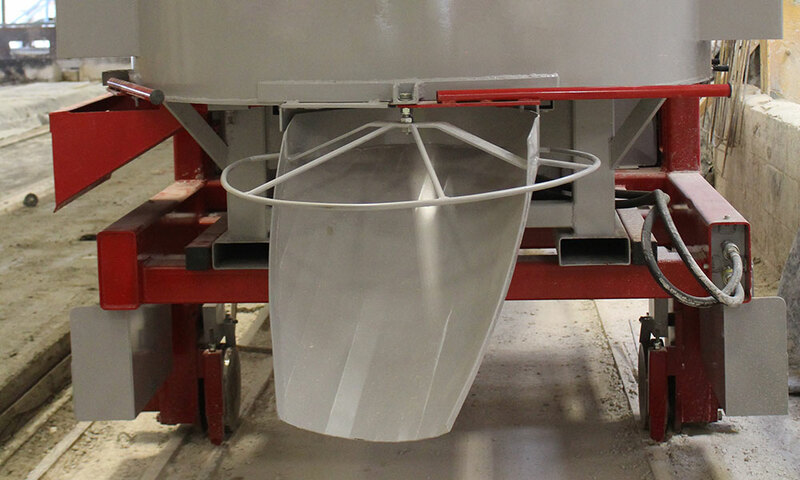 Any angle from 90° to 180° can be achieved with ease. 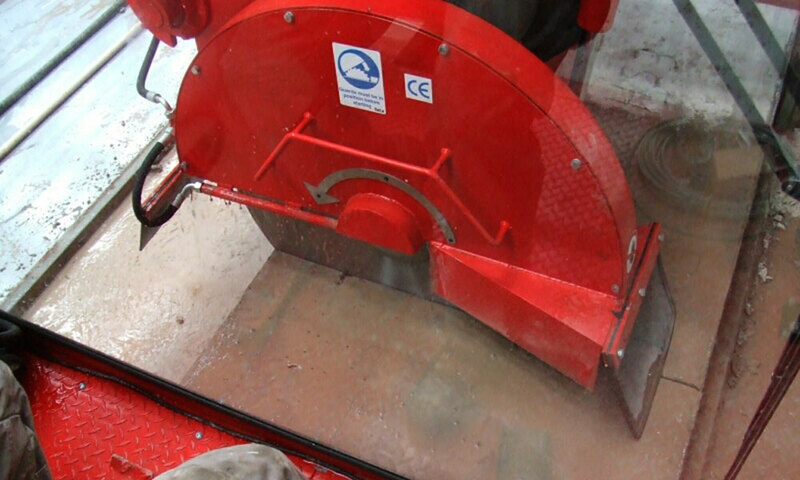 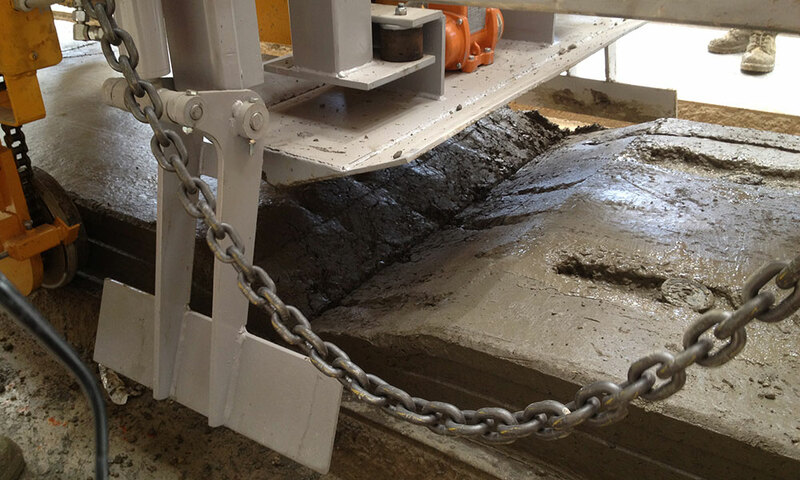 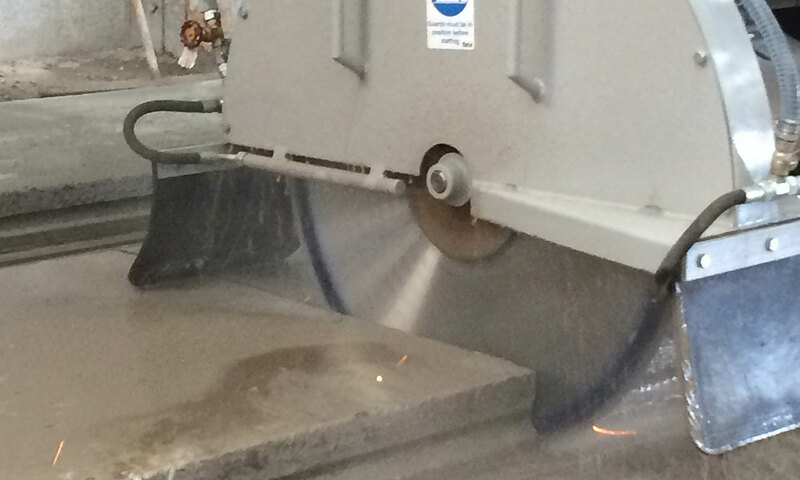 The Wet Cut Saw is used to create longitudinal/rip cuts in the hollowcore concrete flooring prior to curing. 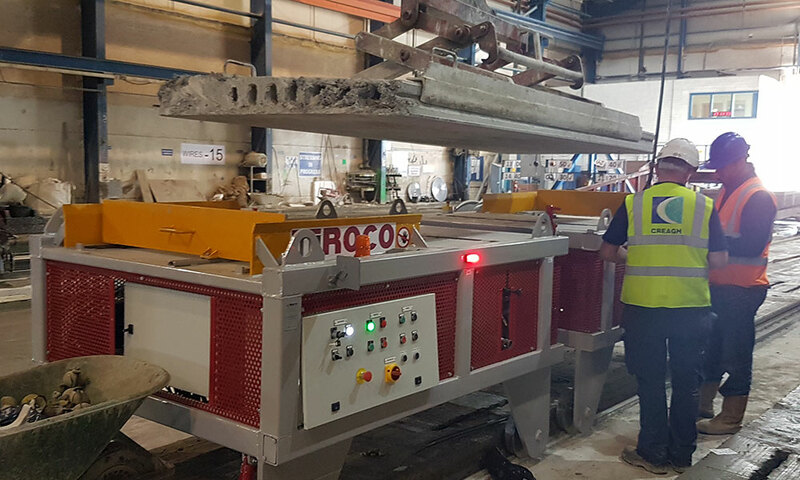 The Detailing Machine follows behind the extruder or slipformer and can perform all the secondary detailing required on the hollowcore slab. 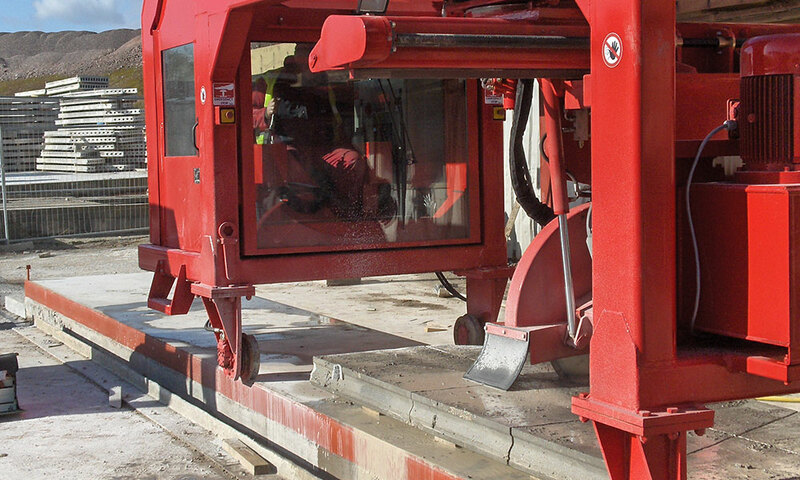 The Concrete Aspirator removes concrete from the green hollowcore slabs on the casting beds, creating notches/holes and exposing prestress wires/strands. 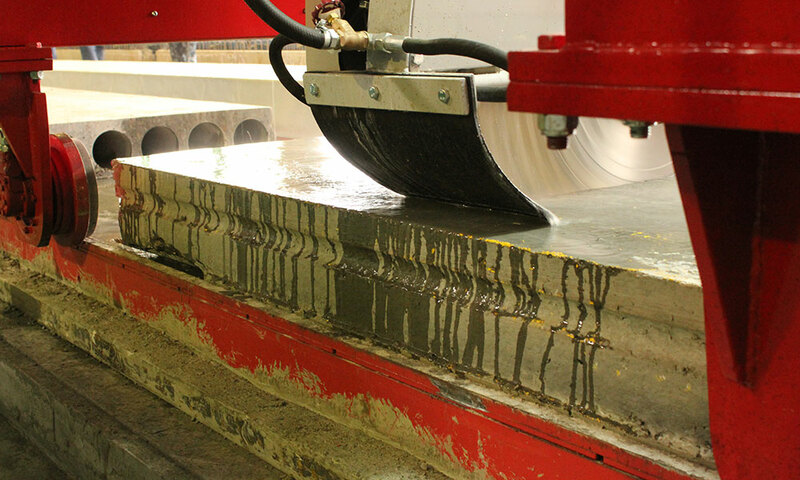 The Weep Hole Drilling Machine provides a much more efficient method to drill weep holes on the underside of cured hollowcore concrete slabs. 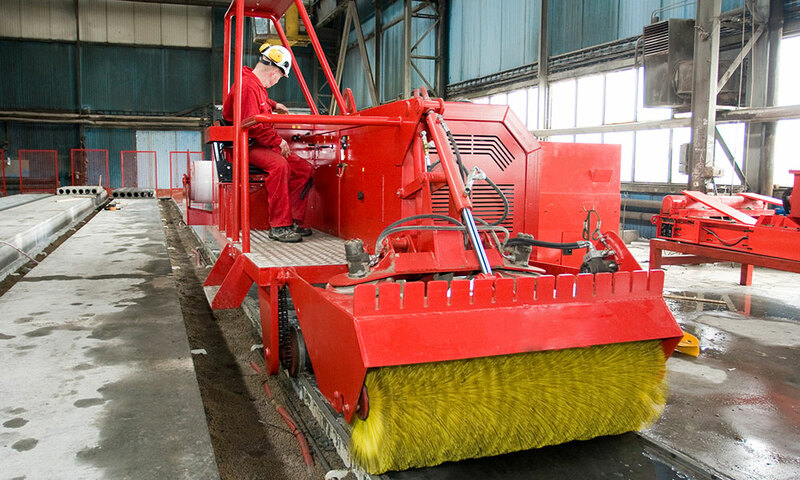 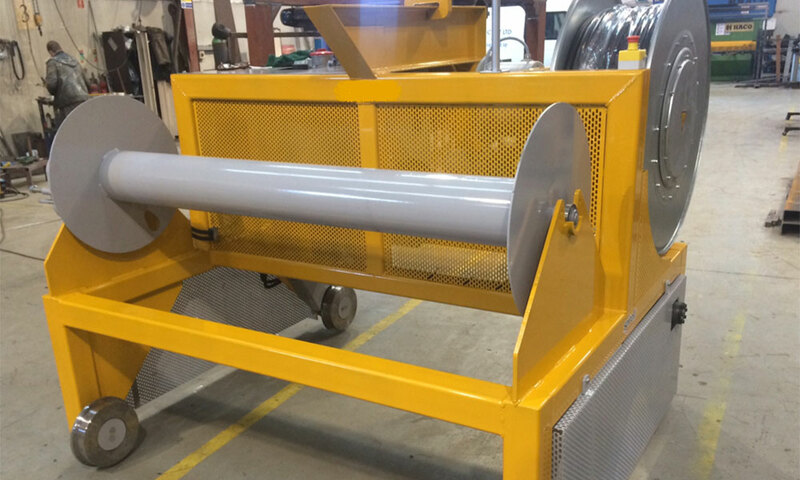 The Cover Roller is an independently powered machine used to lay curing covers over prestressed concrete immediately after production. 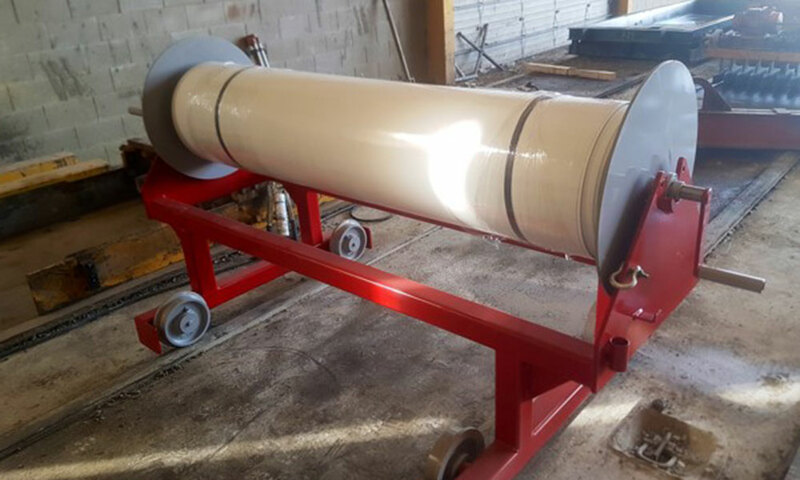 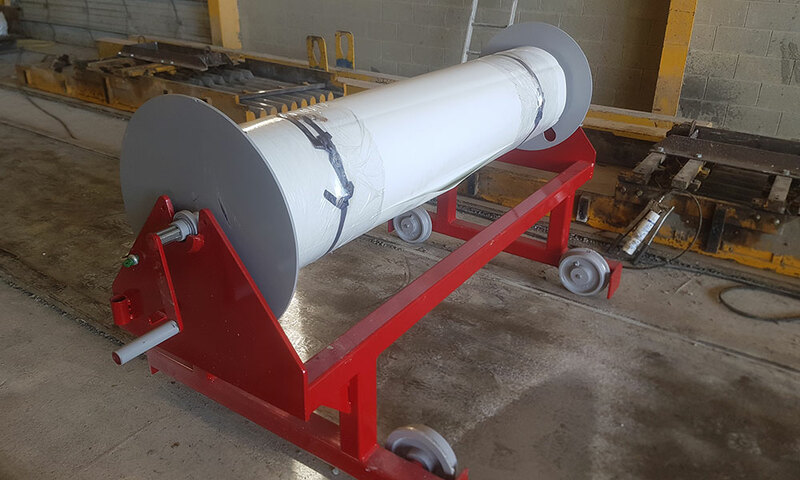 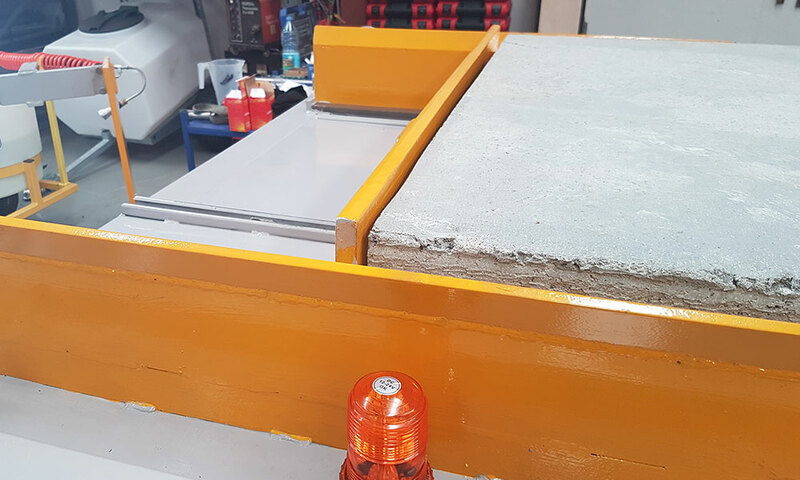 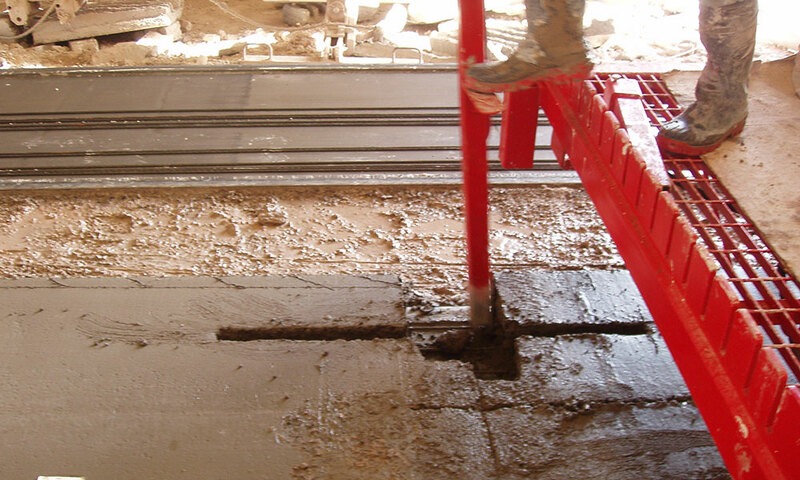 The manual cover roller is a simple and cost-effective method of laying and removing the curing covers during hollowcore slab production. 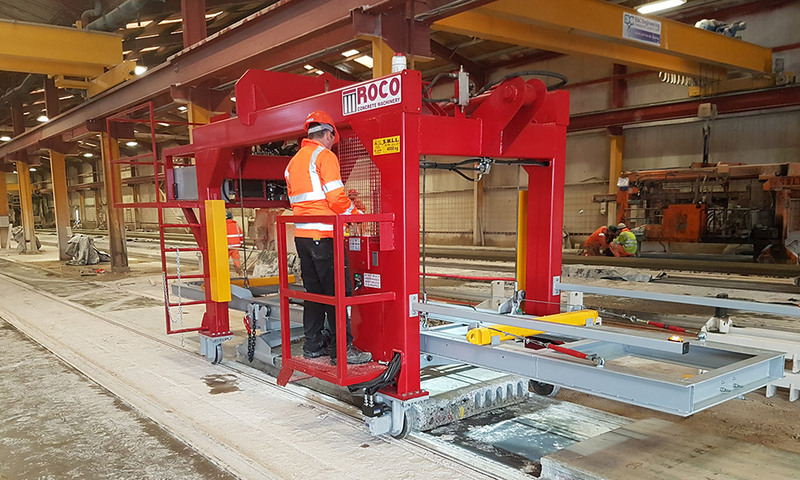 The Lifter/Transporter is a quick and efficient system for stripping hollowcore slabs from the bed and transporting them to a loading area, reducing crane time. 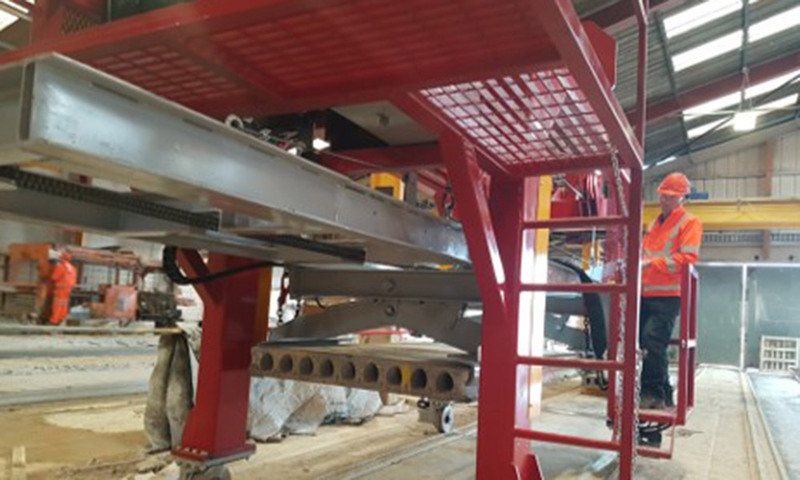 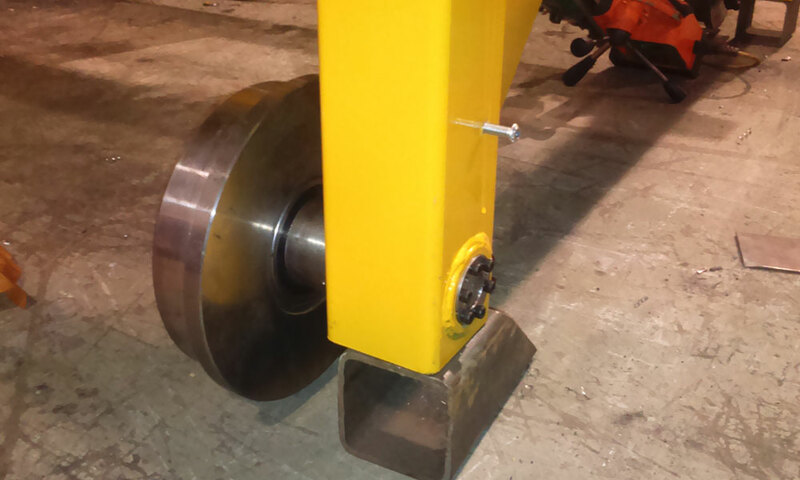 The Camber Press is used in combination with the saw and prevents binding of the blade by applying pressure to the hollowcore slab.